Since Android dominates the mobile device market your mobile app must be able to support the majority of Android devices which are actively in use and must provide an exceptional UX. Android app testing is a complex task due to the existence of multiple device manufacturers, device models, Android OS versions, screen sizes and network conditions. 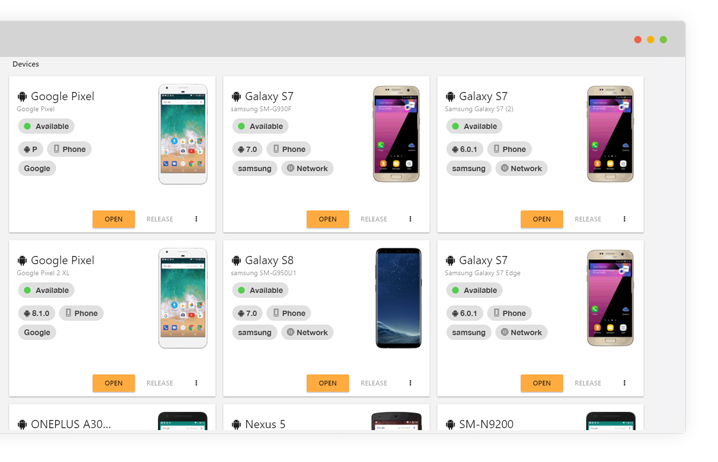 Start testing your app today on hundreds of real devices and run Android test automation to meet tight Android app delivery timelines with the SeeTest Continuous Testing Platform. 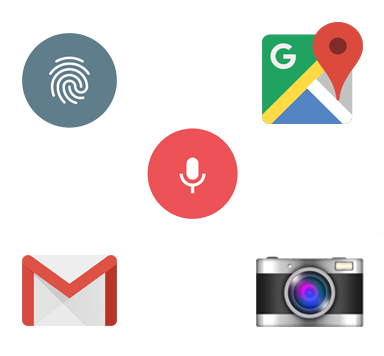 Gain instant access and full control to real Android devices from your browser. Test and debug your application against them. 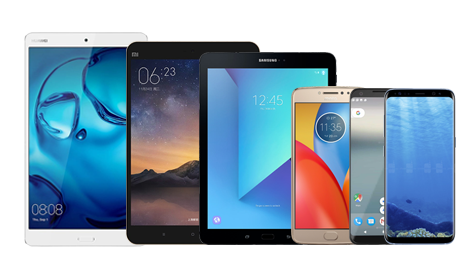 Choose from a wide selection of smartphones and tablets of various manufacturers (e.g. Samsung, Nexus, Huawei, etc. ), screen resolutions and Android OS versions. You can either use devices hosted at Experitest data centers or you can easily Set up the SeeTest platform on your enterprise premises and allow remote access to different testing/dev teams in your organization. 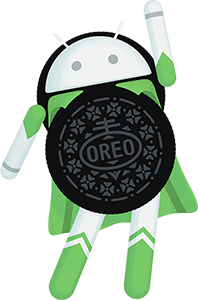 Shorten Android app testing cycles and reduce your dependency on manual testing with higher automation coverage. Conduct Android app testing under your customers’ usage scenarios to catch performance issues before deployment. Test under different network conditions such as user geographical location, server location, and network type. Monitor your app’s effect on device vitals (battery, CPU, and memory). Test your app under load to check its behavior while it's being used by hundreds and even thousands of users simultaneously. Verify that no real-life surprises impact your application rating. Create highly robust and maintainable test automation projects with SeeTest’s test development tools. Develop tests on one Android OS version and run on any other Android OS version without any modifications. Focus your efforts on creating new test cases and not on rewriting tests for different OS and versions. 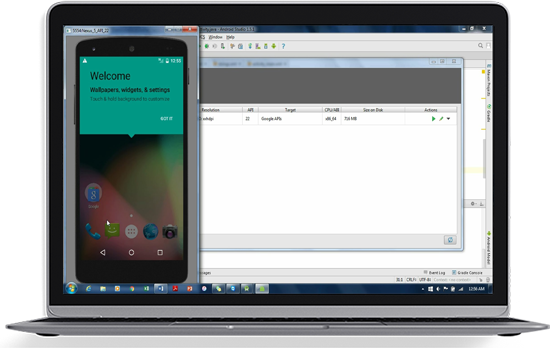 Widen your Android test automation with the ability to develop and run tests on multiple Android emulators, including new Android versions and beta versions. Cover more functionality on more Android versions earlier in the process. • Easily develop tests on emulators, with Test Recorder and Object Spy, Test non-standard UI elements, integrations with system apps or 3rd party applications, integrations with device components, or application components built with SDKs • Execute your tests on an unlimited number of Android simulators and consolidate your test results in SeeTest quality dashboards. Use SeeTest platform to connect to remote Android devices directly from Android Studio as if the devices were locally connected to your computer. Run your application code, watch your code changes in real time and even insert breakpoints. 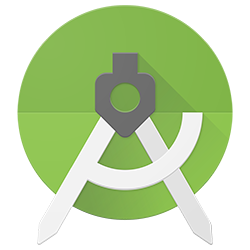 Debug your application on the spot directly from Android Studio, and verify your changes again, until you are ready to release your new code. Choose from a large variety of devices and Android versions to debug on, you can even debug on the same device where the error occurred. 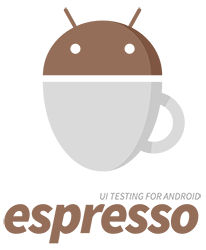 Accelerate unit and white box testing by executing tests developed in Espresso on multiple Android devices in parallel. Integrate to any CI environment to trigger test execution automatically for a 24/7 hands-free continuous testing. for automated testing of mobile & web applications. Shift Left - are you ready?